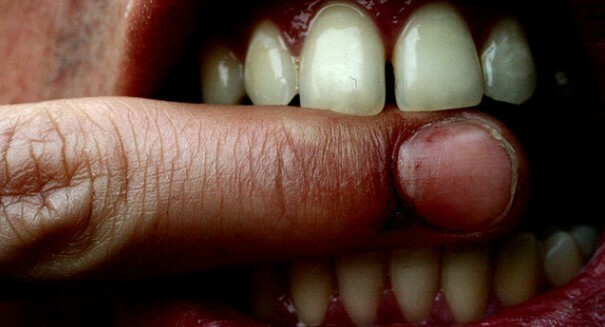 Type 2 diabetes could lead to loss of teeth, study says. Diabetics, especially African-Americans are at a higher risk for tooth loss. Type 2 diabetes is know for a number of health issues arising from the disease, and now some researchers say you can add tooth loss to the list, according to an article on techtimes.com. Bei Wu of Duke University says the new research indicates that diabetics are twice as likely to lose teeth as those who are not sufferers of the condition. She added we now have more evidence that poor oral health is related to diabetes. Wu explains that gum disease is more prevalent among persons with Type 2 diabetes, and tooth loss is an ultimate consequence of gum disease. Gum disease affects about half of the adult population of the United States. The study also indicated African-Americans are at an even greater risk of tooth loss due to diabetes, according to the study authors. The research team said they evaluated the data from over 37,000 people, using the information compiled by the National Health and Nutrition Examination Study over the period from 1971 through 2012, looking at trends of tooth loss. Though the results indicate that tooth loss has been declining for all those years, the researchers noted that diabetes sufferers are still at risk. The team reported the findings highlighted the need to improve in-home dental care, especially among those with diabetes and in particular, African-Americans with the condition, who are experiencing more tooth loss. Wu suggested the differences in tooth loss data by blacks could be influenced by the fact that the minority group has traditionally had difficulty in obtaining good professional dental care. Wu added that for a long time, the American Diabetes Association has been recommending that doctors refer their patients with diabetes to a dentist, but, she says, in reality very few doctors are following the recommendations. Wu says foot care and eye care are high on the agenda of most physicians with diabetic patients, but she feels the patients should have regular dental care as well, adding seeing a dentist is just as important as other physical needs. Dr. Edmond Hewlett, a spokesman at the American Dental Association, said people with diabetes should brush twice daily, floss at least once per day and see a dentist at least two times per year, and that this new study highlighted the connection between oral health and overall health. The findings of the study were published in the journal Preventing Chronic Disease.